A simple breakfast recipe that is made the night before. 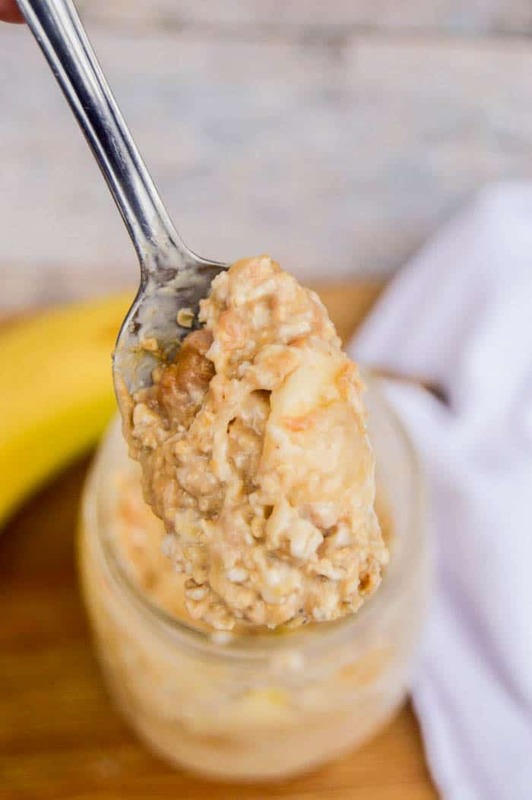 Mix up your ingredients for this Peanut Butter Banana Overnight Oats and set them in the fridge all night for a simple and easy breakfast you can grab in the morning. Easy breakfast are a must, especially when you are not a morning person. I love oatmeal and making it homemade with all my favorite toppings is the best. 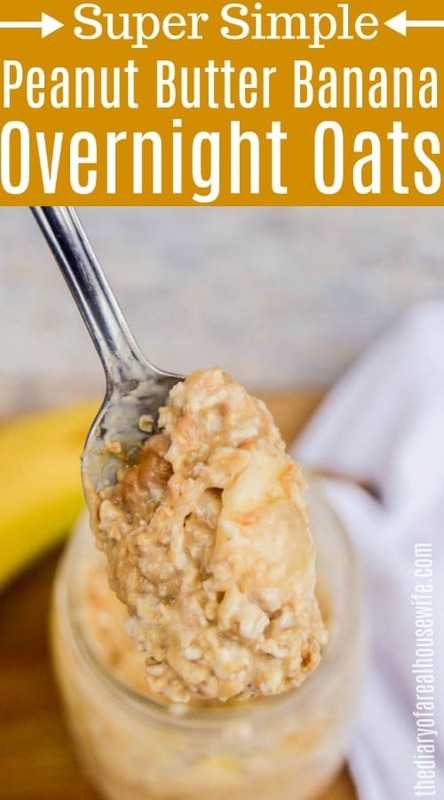 I love these overnight oats because I can make everything the night before or even days before and have breakfast ready for me in the morning. I like to microwave mine and add a little more milk in the morning but when I am in a rush I will just eat it cold and it’s delicious! 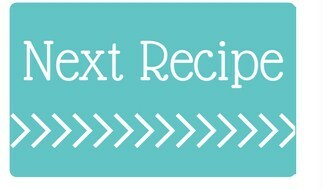 Step One: Add oats, sliced banana, brown sugar, and peanut butter into a mason jar in that order. Step Two: Next pour milk into the mason jar and place lid on. Step Three: Shake well and place in the fridge overnight. Step Four: Eat right from the fridge in the morning or heat in the microwave. Add more milk as needed. 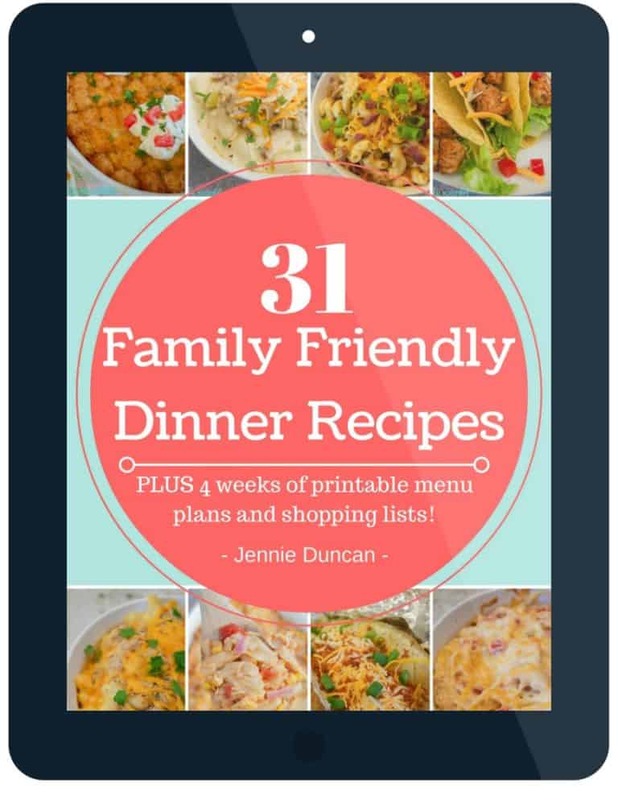 Here are more oatmeal recipes I think you will love! Oatmeal Bars: These oatmeals bars make there perfect breakfast or dessert! Loaded with chocolate chips they are a must try! 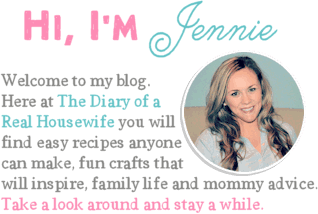 Oatmeal Muffins: My kids favorite muffin, these oatmeal muffins are so good! Chocolate Chip Oatmeal Cookie: Oatmeal cookies are the best and I skipped out on the raises for this recipe and added in chocolate chips instead. 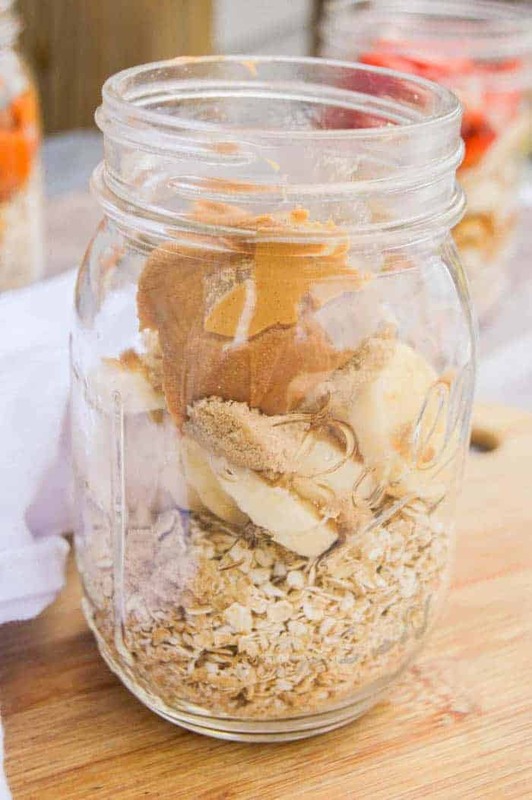 Add oats, sliced banana, brown sugar, and peanut butter into a mason jar. 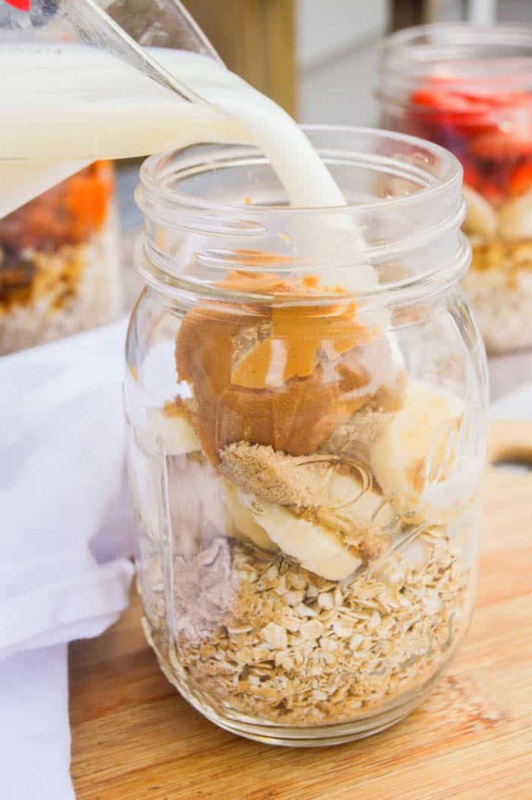 Pour milk over all ingredients then place the lid on your jar. Shake well and place in the fridge overnight. Eat right from the fridge in the morning or heat in the microwave. Add more milk as needed.